Novartis has released some new phase 3 data from its recently-acquired gene therapy Zolgensma, and the results build on the drug’s already robust efficacy profile. The data comes just weeks ahead of a decision from the FDA, which has been evaluating the drug for the treatment of the most severe form of spinal muscular atrophy (SMA), a neuromuscular disease that is characterised by the loss of motor neurons. Zolgensma has been under review since the US medicines regulator granted a priority status back in December last year, when data was already looking strong for the gene therapy. Now, phase 3 results from the clinical programme STR1VE have shown a prolonged event-free survival and an early and rapid increase in CHOP-INTEND scores, which are a series of motor objectives set out by the Children’s Hospital of Philadelphia. Perhaps the most encouraging result from these scores is that the drug has shown potential to help those with SMA type 1 sit unassisted for at least 30 seconds. This milestone was initially achieved by three patients during a phase 1 trial back in September last year, however the new results have shown that five more patients have achieved this. “These STR1VE data reinforce what was seen in the pivotal phase 1 START trial, including trends toward prolonged survival and milestone achievement never seen in the natural history of the untreated disease,” said Olga Santiago, MD, Chief Medical Officer, AveXis, a subsidiary of Novartis. If the drug gets approval from the FDA, which analysts have tipped as likely, then all eyes will be on its list price. Novartis has already suggested that the one-time treatment could be priced around $4m per patient, but recently an independent US medicines pricing watchdog ICER urged Novartis for a fair pricing strategy. That came after it evaluated first-to-market SMA gene therapy Spinraza and concluded that the Biogen marketed drug is overpriced. Spinraza has been on the US market since 2016, and comes in at a list price $750,000 for the initial year and $375,000 per year thereafter. ICER says this price should be slashed by at least 82.76% ($620,000) for the first year and then should cost between $36,000-$65,000 per year thereafter. It also called for Zolgensma to be priced somewhere between $900,000 and $1.5m, however Novartis hit back at the report, saying that the cost-effective estimates are “designed around the status quo of chronic care management and cannot possibly capture the fully benefits of disease-modifying treatments delivered as a one-time administration”. 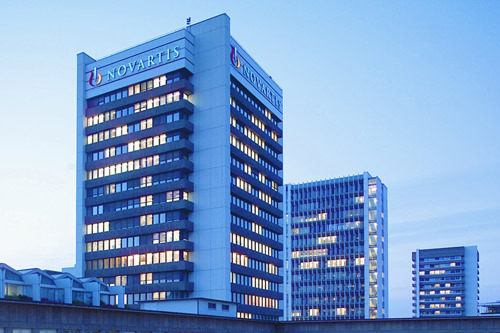 While Zolgensma’s price won’t be revealed until it’s approved for market, Novartis confirmed it is exploring instalment-based payment models to encourage patient uptake.